Just because advertising is trending into the digital realm doesn’t mean all other forms of advertising are dead. 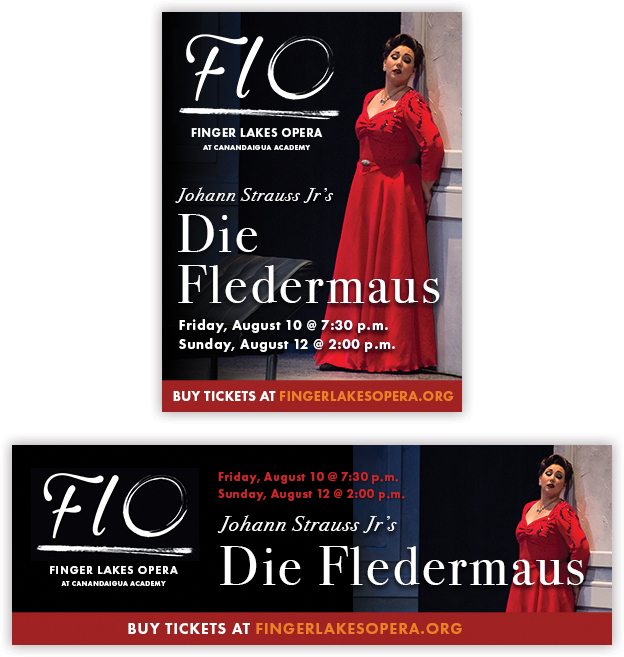 Earlier this year, we were tasked with finalizing the marketing strategy for Finger Lakes Opera’s 2018 production of Johann Strauss Jr’s Die Fledermaus, the chosen opera for this years annual production. As we worked together through the budget and marketing planning process, we were able to challenge the client to think more strategically about their advertising buys, especially when it came to print. The first step to evaluating what print advertising strategy we should have moving forward was to see exactly where we “had been” – meaning, what sort of print advertisements had they run in previous years, in what publications, at what size and frequency, and what sort of metrics they had been able to collect about how well each ad had performed in converting to viewers to purchasers. Unfortunately, as is very common when it comes to print advertising, there were plentiful records about how and when the advertisement had run, but no data about how the ads had actually performed – which left the client unaware of the value of investing resources into print advertising again. Given Finger Lakes Opera’s demographics (discussed more below), we did not want to cut out print advertising altogether, but we knew any strategy we put in place moving forward would need to provide analytics at the close of the campaign, so that we could base future print advertisement decisions off real data. We also found that there was no real reasoning behind why ads were placed in certain publications – another very common scenario when it comes to print advertising. Very often ad placement comes down to which advertising representatives got their foot in the door at just the right time in the budgeting or advertising timeline, or who was able to put together the most cost attractive advertising package. With our experience in working with publications, we knew we could improve the buying decisions moving forward with a little dose of strategy. 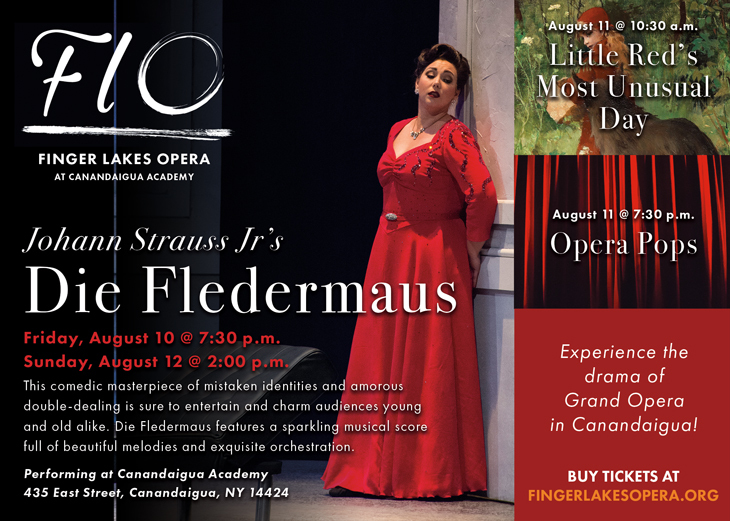 One of the 2018 Finger Lakes Opera print advertisements. There’s nothing prohibiting any person or business from contacting a publication and placing their own print advertisement buy. What makes it advantageous to work through an Agency, like Grid, is that we have long-term, already established relationships with each individual publication. Often, we have been working with the same representatives at the publication for a number of years. 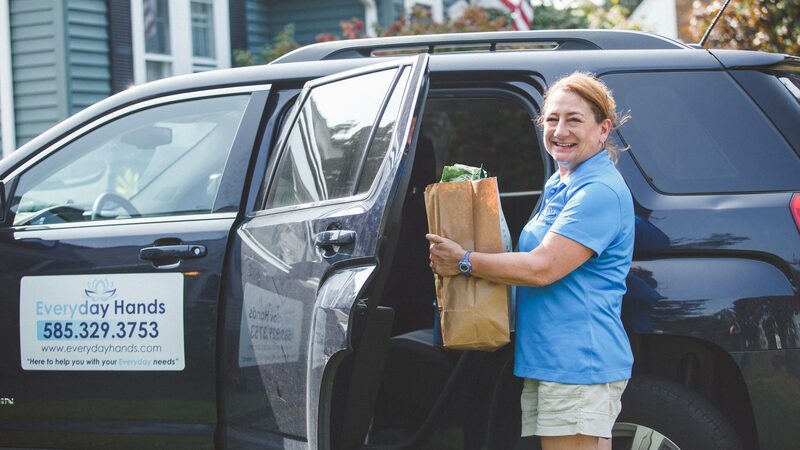 They can anticipate the needs of our clients, they know how we prefer to communicate (when to email casually versus call with important information), and they provide dedicated service for us when any issues do arise. Our representatives also help us by sharing their “insider” knowledge about upcoming issues. If, for example, a publication is running a special interest issue, or featuring an article that is related to the industry of one of our clients. This relationship also means more favorable pricing, better placement of ads, and can include perks like extended due dates! When considering what publications to run ads in, we don’t just consider the total number of subscribers, reach, or audience size. The most important thing to consider is what sort of demographic you want to put your messaging in front of, how that demographic consumes content, and what publication they would most likely be reading. We make it a point to review data available from the publications themselves to evaluate their demographics, which can include information like location, age, gender, income, or product preferences. It’s important that the publications we choose reach the target demographic that would be interested in our advertisement. For example, you wouldn’t want to place an ad for a high-end luxury car in a high school newspaper. As an agency, we are often able to reduce the price of a print advertisement even further by purchasing “in bulk”, both because of the frequency in which we purchase ad space for clients, and because we know how many ads we want in each issue of a publication well before the deadlines come due. In addition to this purchasing power, we can also work with our representatives to create comprehensive advertising packages that include more than just print. Most print publications also have digital versions, regular email newsletters, video opportunities, and/or a powerful social media presence. By putting together a package of different types of advertising opportunities with a single publication, we can bring the cost of print advertising even lower while also extending the reach of our campaigns. 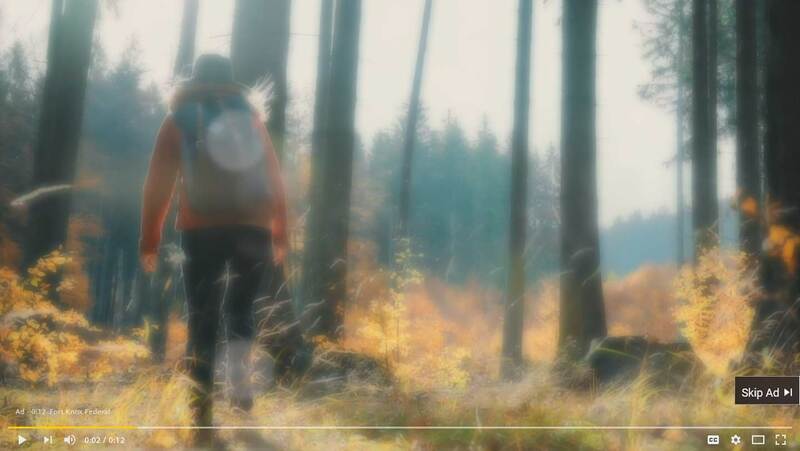 Working through an agency isn’t only about getting you a better deal. It also means the entire process is easier for you! We handle reviewing the publication rates and demographics, configuring the most attractive packages, negotiating the best deal, ensuring the quality of the ad is top-notch, and making sure that you receive all follow up material related to the performance of your campaign. In addition to helping you determine ad budgets and placements, Grid can handle all of the creative, too; from designing the artwork, to licensing or shooting necessary photography. We prepare the files per each individual publication’s specific and unique guidelines and requirements (and trust us, they all have their own set of specs)! We handle the delivery of those files, whether that’s emailing the file, providing a Dropbox link, using their FTP, or submitting via a custom client portal. Even though all the Yellow Pages is good for is killing big spiders or reaching tall shelves, that doesn’t mean all print is dead or outdated. In fact, print has in many ways become a luxury good, meant for those who have extra time, prefer the tactile feel of print in their hands, or are tired of squinting at a fingerprint smudged smartphone screen. While that doesn’t mean every business and every message is appropriate for print, it does mean there are still a number of strategic opportunities for print advertisement. With a little legwork, industry knowhow, and advertising experience, we can help you turn print into a very success tool for your next marketing campaign!